All Natural Warming Up for Pre or Post sport muscle treatment. Anti-inflammatory and emollient Shea butter, Jojoba, Almond, Apricot and Soy oils, blended with stimulating active essential oils of Capsicum, Cajeput, and Camphor will invigorate your body and skin. This formulation produces lasting warmth and a stimulating, recuperating effect on muscles. Application will help accelerate local blood circulation and general toning. 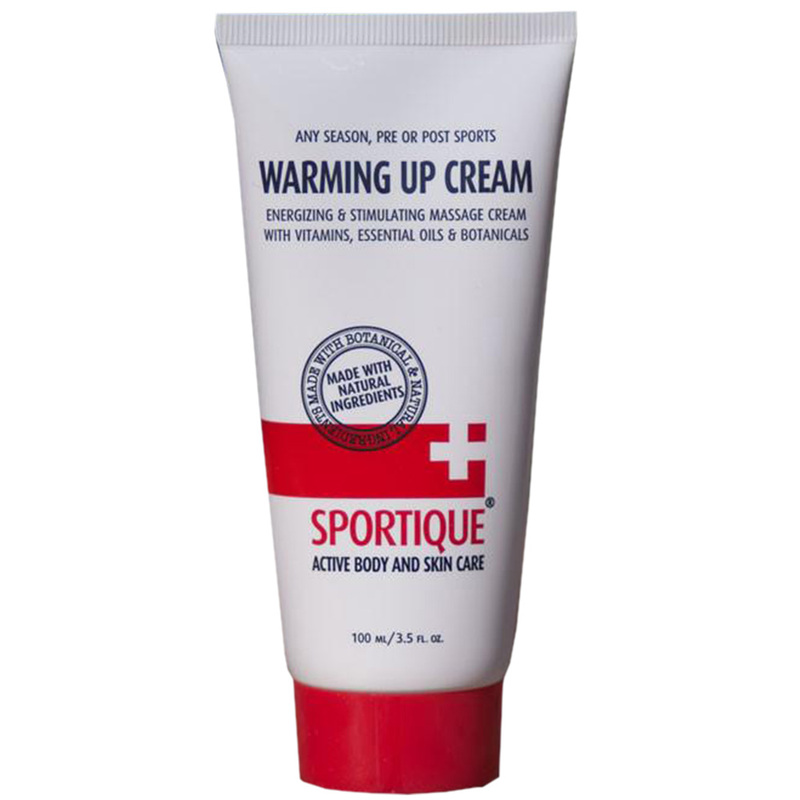 SPORTIQUE® Massage Cream is perfect for massages before, during or after physical performance. It will counteract fatigue and help physical recovery.